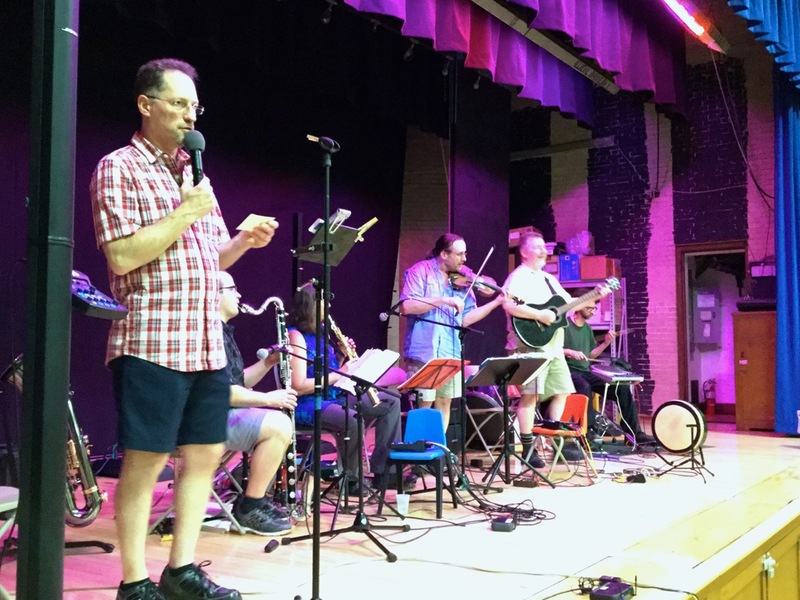 Thank you to everyone who joined the Worcester contra dance this season! It was such a joy to share the music and calling of our bands and callers with so many wonderful dancers, both new and veteran. And what a wonderful way to end the season with einstein's little homunculus and Don Veino! Stealth shot of caller Don Veino. Merch! Only $10 per CD. Sit back and relax, enjoy the show! There are many ways to swing! Our next dance is September 9 — but you don't need to wait until then to get your dance fix! Nearby Rutland will be picking up our slack with two Saturday dances on June 17 and July 15, 8–11 PM. That first dance is less than a week away and features the calling of Tod Whittemore from Connecticut. Joining him will be Julie Metcalf and friends, whose music is sure to delight us all. The dance will be held at the Finnish Heritage Society on Finn Park Road in Rutland. Admission is $10 per adult and $5 per student. For more details, visit the website or RSVP on Facebook. See you in Rutland this weekend and in Worcester this fall. Have a happy and safe summer in between!